It’s hard to believe sometimes how delicious a meal actually can be when it is so simple to cook. 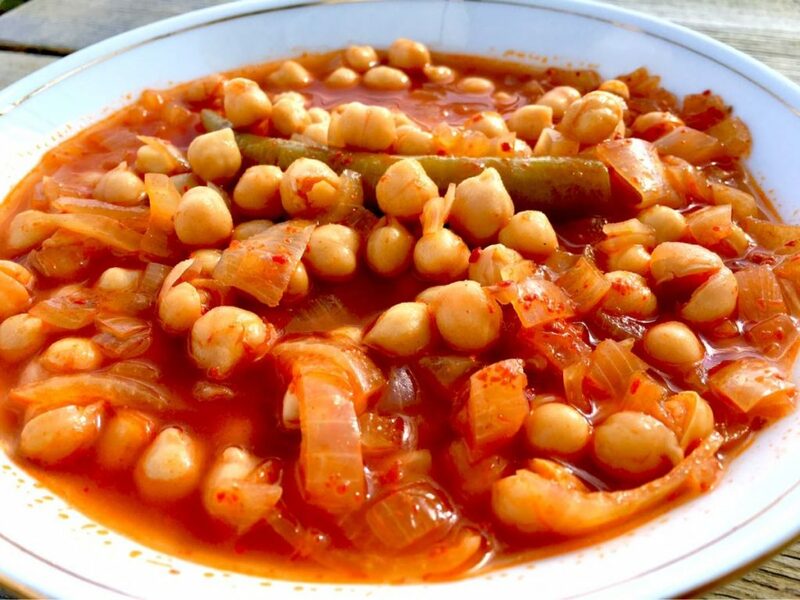 Below you will find my favourite chickpeas and rice recipe which only takes 10 minutes to prepare and has a cook time of a little more than 1 hour. Chickpeas and Rice is a true staple of Turkey and extremely tasty. It is one of the most common meals to be served in Turkish homes and in little ‘lokantas’ specialising in ‘Sulu Yemeğı‘ which is food cooked with water and served hot. Opposed to ‘Zeytinyagli‘ where the food cooked in olive oil will be served cold. It is absolutely delicious and this Chickpea and Rice recipe is packed with protein and lots of other nutrients. The chickpea and rice recipe were my daughters’ all-time favourite meals as they grew up here in Turkey. I remember so well when my daughters and I flew back from Australia, returning to Turkey after our Christmas break. We had been fed relentlessly on the plane (in the good old days when they didn’t want you to get bored and fed you several times on each leg of the journey) and I felt like we were waddling out two sizes larger. We landed in Istanbul and made our way to the bus terminal to begin our 14-hour journey home. This was before our local coastal airport had opened up and there was no other way home. At the bus stop, just one hour after leaving the plane, the girls had a whiff of chickpeas and rice emanating from a little roadside ‘lokanta’. They begged me for a bowl of goodness before we boarded the bus for our long trip home. How could I refuse? I was so grateful my girls had the chance to naturally learn and enjoy good nutrition. It is ever abundant in Turkey. Generally I cook this as a traditional vegetarian meal, excluding the meat but I do tend to use beef stock cubes rather than salt. Serve with rice and salad. 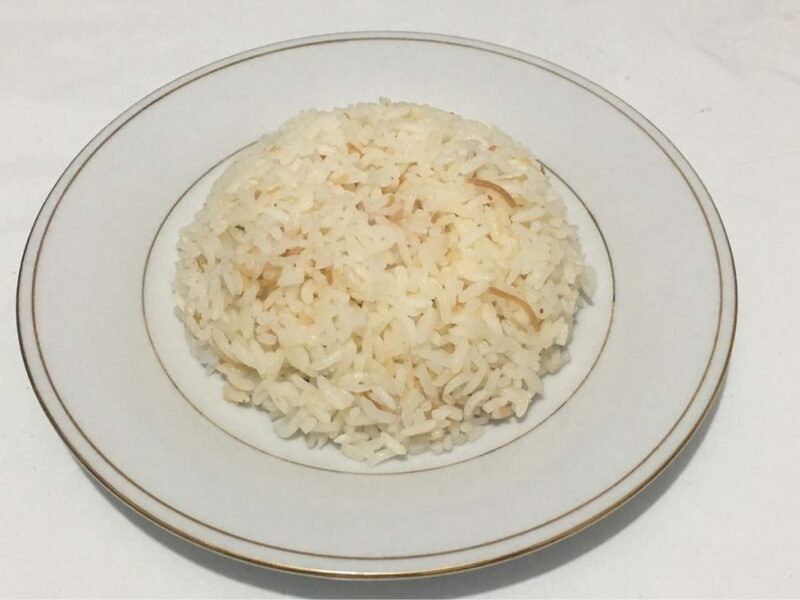 The Turkish Rice recipe follows below. Fry the ground meat for 2 minutes then add the tomatoes and onions and continue cooking till mushy. Add the cooked chickpeas, the hot pepper, chill flakes and stock cubes and cover with water. Either cook in a pan for 40 minutes or cook under pressure for 15 minutes then let the pressure die down slowly. The cooking time includes soaking the rice for 1 hour. Remove lid and fluff up the rice with a fork.